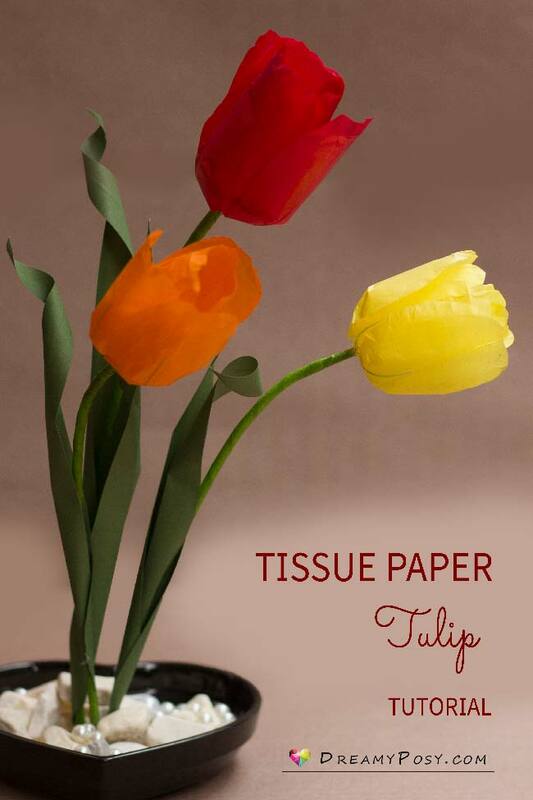 This tissue paper Tulip flowers are so realistic, as the colors of tissue paper are adorable. 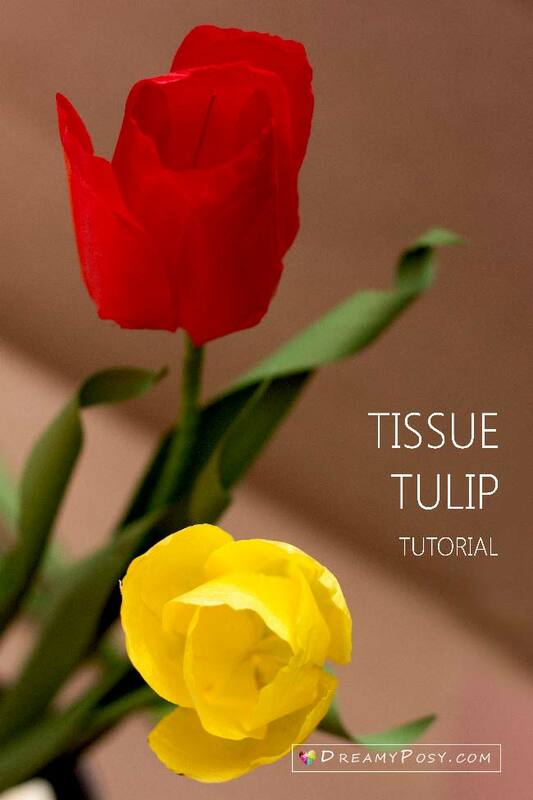 So I would like to share another better tutorial and template, although I have made printer paper Tulip. 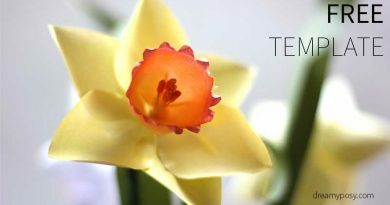 You will find 2 methods to make Tulip flowers. The first method will require the template. And the second method is so easy, no template needed. Fold it into 12 smaller rectangles. Use the glue stick to double the tissue paper, remember to insert wire gauge#26 to the center of each rectangle. 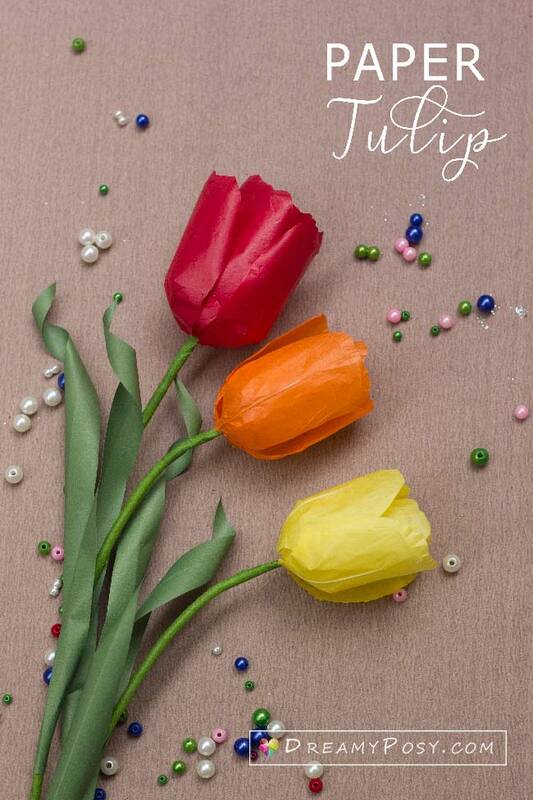 Cut those rectangles into 6 petals with my Tulip template. 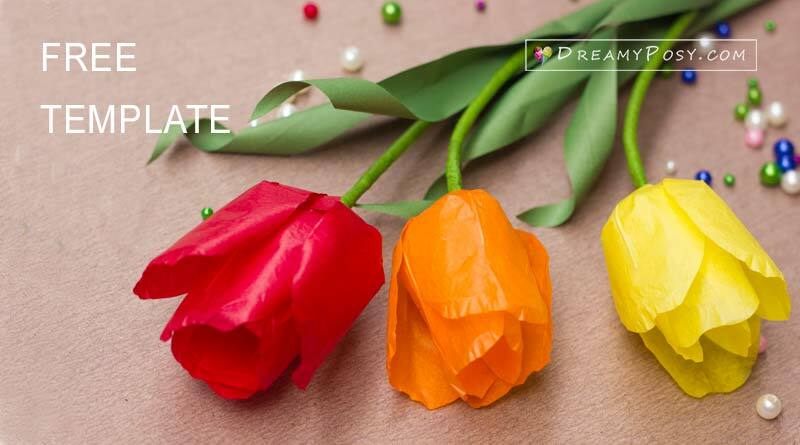 Cut and glue the petal to form the tulip petal shape. Wrap 3 inner petals, then 3 outer petals together, with floral tape. Insert the wire gauge 20 into 3mm transparent PVC tube, then insert the flower to the tube before wrapping the branch by floral tape. Cut the leaves and use the edge of scissors to curve the leaves. 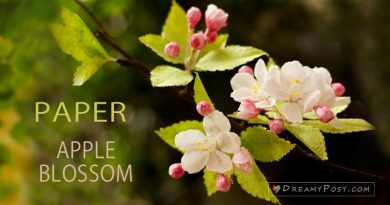 Glue the leaves to the flower branch. Cut 3 rectangles of 5cmx 16cm and 3 rectangles of 5cmx18cm. Twist at the middle of the rectangles and double fold it to form the petals. Please see the video at 3:1 for more detail. Cut a small circle from cardstock and use any round stylus to form the curve and glue it to the drinking straw. Glue the 3 smaller petals on the topper of the cardstock circle and 3 larger petals to the bottom of it. 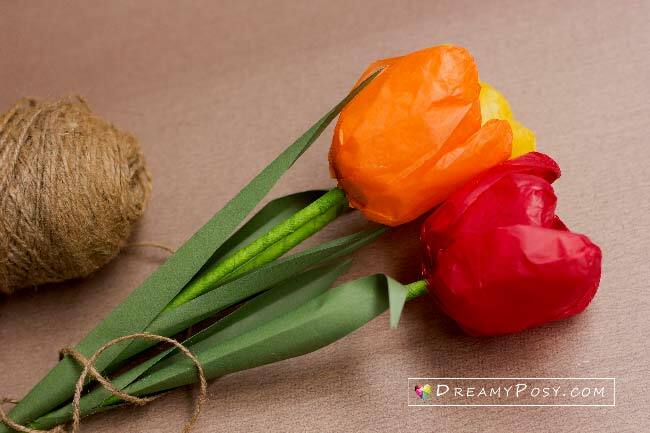 Wrap the straw with floral tape. 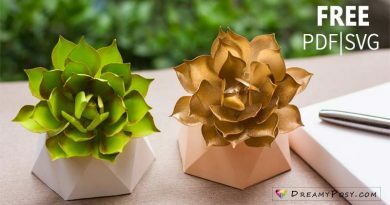 Cut the leaves and glue them to the flower branches by a glue gun. 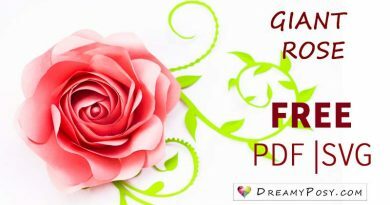 I registered for the free templates. Oh my goodness they are small. There is not way you can use them for making flowers, unless they are very tiny. Son maravillosas las flores ,y que arte hay en esas manos. Estoy emocionada de ver los detalles,bueno una maravilla y recién descubierta por mi. Hi, I love your tutorials and your templates. 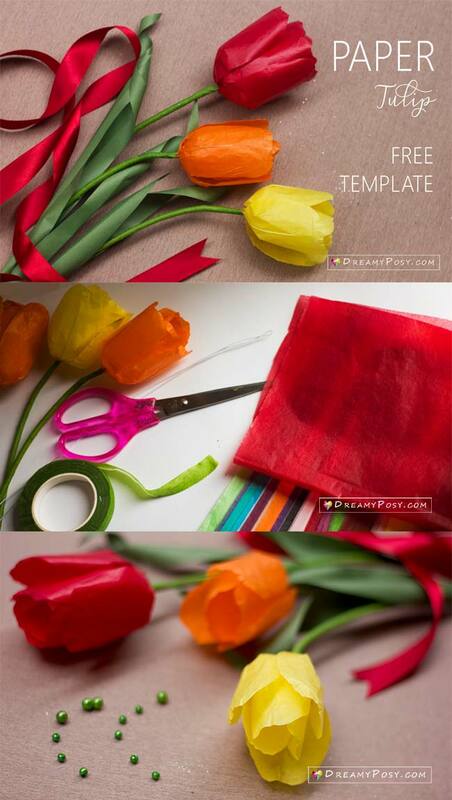 Can I use crepe paper to make your flowers instead of the different papers you use? Sure, Sonia, but the template’s width should be thinner because you will stress out the ridge of crepe paper to form the petal curves.